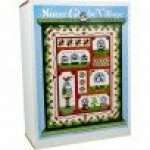 HOME > Kits > Snow Globe Village Quilt Kit 54" x 66.75"
Snow Globe Village Quilt Kit 54" x 66.75"
Have fun creating a collection of snow globes in one adorable Christmas quilt! This village of snow globes includes caroling owls, a skating penguin, smiling snow people, and Santa and Mrs. Claus. 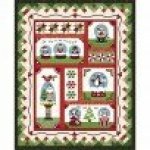 Add snowflakes, sprigs of holly, peppermint candies, and patchwork stars, and your quilt is complete. The Snow Globe Village is a Block of the Month quilt project--but in this case you get all the block materials at once. Assemble the fused-applique quilt all at one time or work at your own pace. 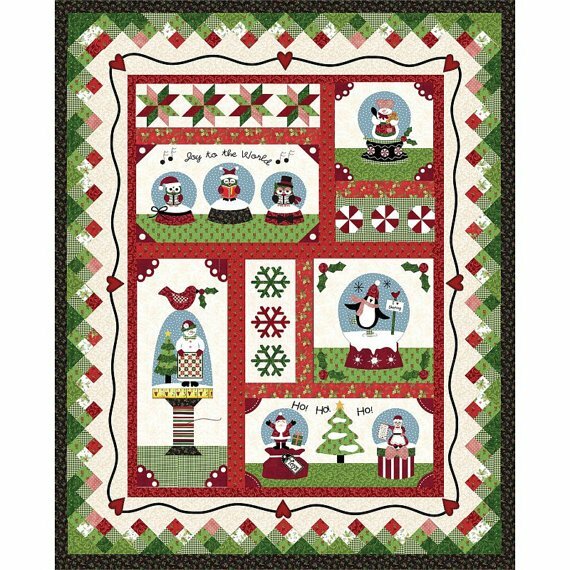 Kit includes six patterns by Arlene Stamper and Melissa Harris of the Quilt Company, Maywood Studio's Songbird Christmas fabrics for the top and binding, accessory fabric pack, and a button pack. Throw/wall size 54" x 66".